wedding, birthday, evening ... synchronize photos of all your guests! 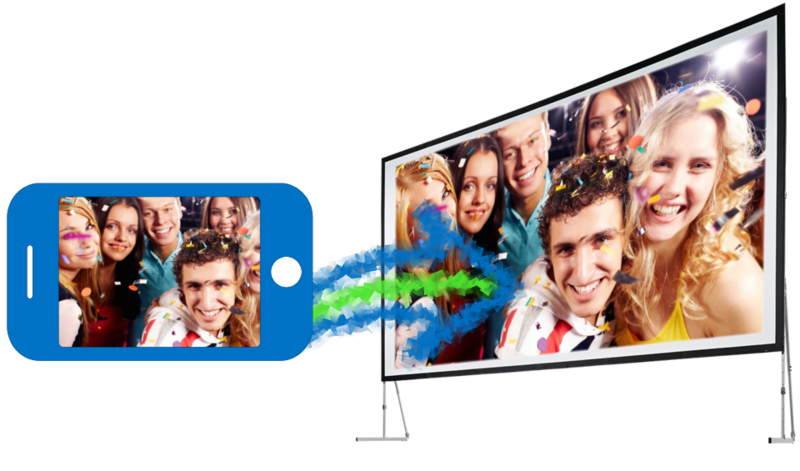 from their smartphones, your guests can send their photos that can be directly aired on one or more screens. Picyoo provided everything you need: an access to create a photo space, as well as the broadcast of a slideshow in real time. Then your guests have only to go to a private address to take and send their photos. All photos taken are downloadable. Picyoo also provides you with the QR Code to print for your guests.